If you’ve scaled or clustered Jedox, some additional configurations must be performed before SSO will work. The exchange of the kerberos tokens can be disturbed by SPN trust issues. To solve this, use setspn. Important: Logon as a serviceuser who is available for both servers (i.e., a domain user). Important: Use the FQDN, or the communication won’t work properly! 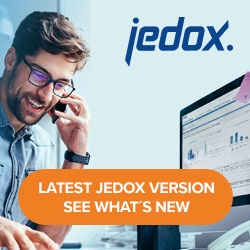 Configure all services (on both server) to run under the service user jedox\jedoxuser. This returns a session ID.